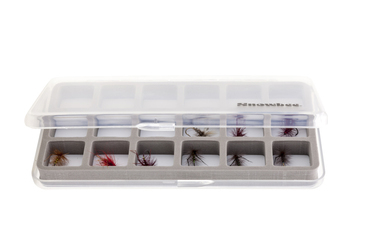 These innovative fly box designs offer a completely new concept in fly storage. 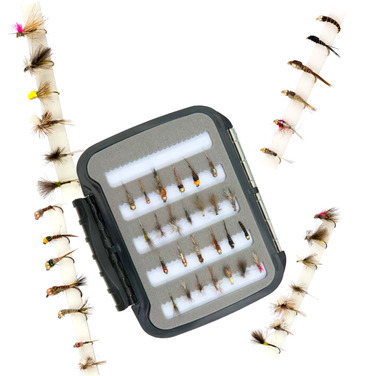 The more conventional slit, flat or ripple foam fly holders are replaced with a magnetic base, which ensures dry flies or small nymphs are held securely even in strong wind, preventing your flies blowing away up the river when you open the box! 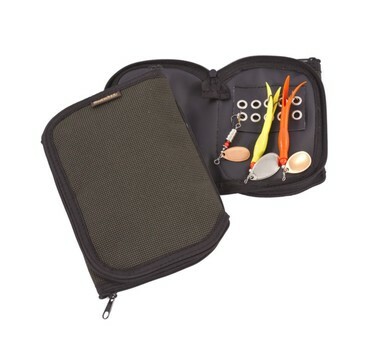 The ultra slim profile slips easily into a shirt or fly vest pocket. 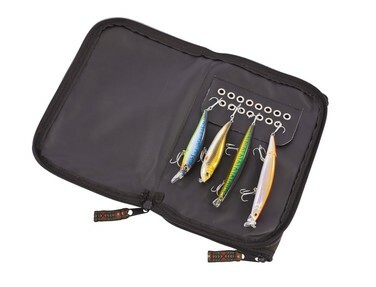 Available in 3 models with lightweight foam dividers providing either 6, 12 or 18 compartments. The 6 compartment model, with the longer compartments, also makes an ideal slimline tube-fly box. 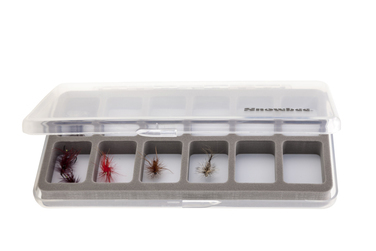 All are ideal hook storage boxes for the fly tier. 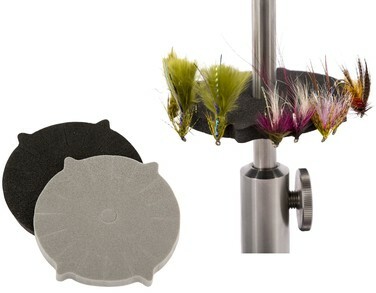 The smaller model will hold 10 spinners each side. 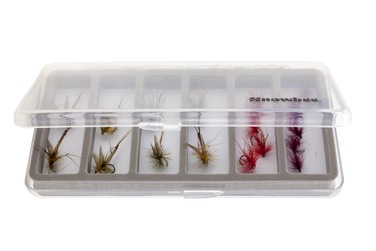 A compact assortment of five river selections specifically for Dry Fly and Nymph fishing. There is an assortment of sizes, weights and patterns to make each card as versatile as possible. 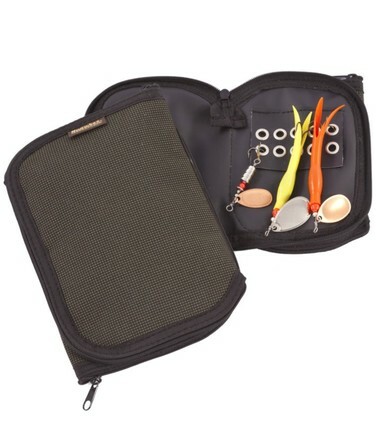 We have introduced half the cards with some of the very best competition patterns on completely barbless hooks. These flies are for river trout and Grayling especially, many tied with great style to represent the natural insects and river fauna in the various appealing and unique stages of their natural life cycle. 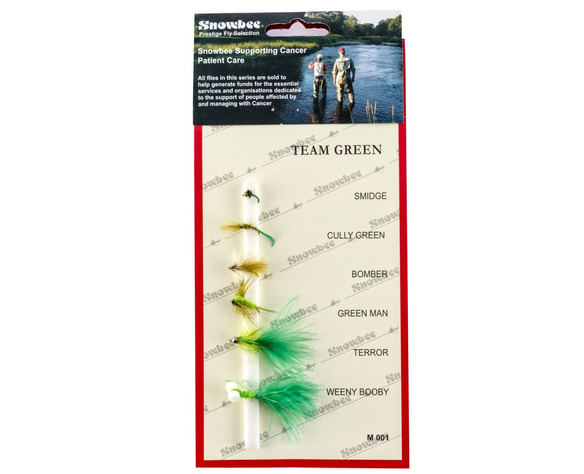 Each of these selections is proven to catch fish - often it is a change to the unique colour given pattern that gets a trout's attention and encourages that vital 'take'.